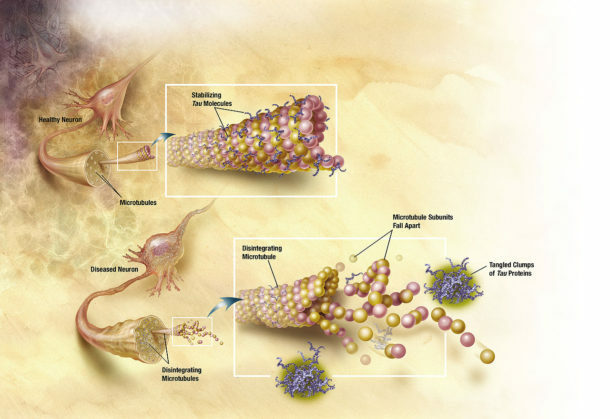 Alzheimer’s Disease (AD) is caused by the aggregation of relatively small (42 amino acid) proteins, called Abeta peptides. These proteins form aggregates which even in small clumps appear to be toxic to neurons and cause neuronal cell death involved in Alzheimer’s Disease and the horrible neurodegenerative consequences. It’s a challenge to study these aggregates, even with simulations. We have many calculations being performed on AD. Our primary goals are the prediction of AD aggregate structure for rational drug design approaches as well as further insight into how AD aggregates form kinetically (hopefully paving the way for a method to stop the AD aggregate formation). We have made great progress towards this end. We have had some exciting results regarding new possible drug leads for Alzheimer’s. We hope to be submitting these soon for publication. AH researchers Vishal Vaidyanathan and Nick Kelley presented the recent FAH results on AD at BCATS 2005. Their work won the best talk award in 2005. We submitted our first paper on FAH results.